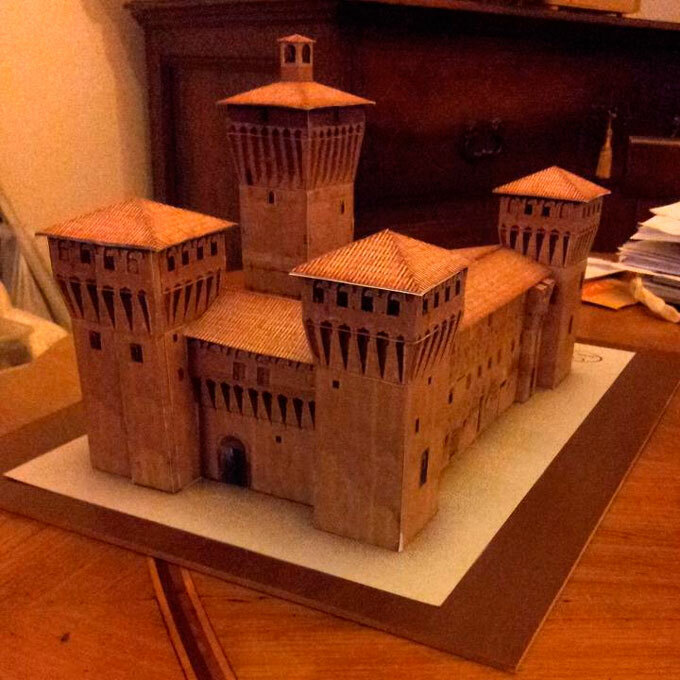 Historical Finale Emilia Building - Castello delle Rocche Paper Model	. On May 20, 2012 Italy was hit by a strong earthquake (6.0 Magnitude) that kills seven people. One of the town that suffered much damage is Finale Emilia. Many buildings are damaged include many historical buildings and sites. One of them is Castello Delle Rocche in Finale Emilia. That disaster inspired Teo Dom to created a paper model to raise awarness of charity donation to re-build that historical building. Teo has finished this 7 pages of paper model template less than a month ago, the model itself is free but you can give your donation on this link.